There are people in the world who say that the United Arab Emirates does not have inventors and it also does not have the creative mind and this makes them a poor country in their minds and can not help in the developing world. However the inventor Imran bin Sultan Allami shows that this is not true and people in the UAE can invent, make and have competition with other people from other countries. Something we can feel proud of. Imran bin Sultan Allami, the inventor, designed a new system to allow all mobile services around the world to be easier to use and for a service that makes it possible for voice messages to be sent as an audio message from anywhere in the world to any area and to arrive in a few seconds in the future with the voice of the sender very clear. In addition, in the future it may be possible for the voice message to be sent immediately. 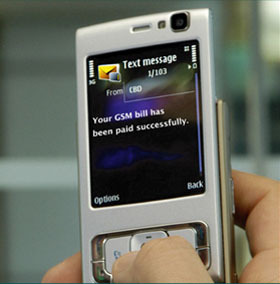 Also, mobile users can write text messages with more than 1,000 letters to any language in the world, which was not available in the past. In addition, people can link a mobile computer to connect to their computer and transfer, update and add anything to the files on their computer through the phone from anywhere in the world. Finally, this shows that UAE inventors are working to improve technology in the world and there are young people trying to invent and because of them, I, Mohamed Abdulrahim, must work hard to following their step to be like them and that make me proud of them and my country.